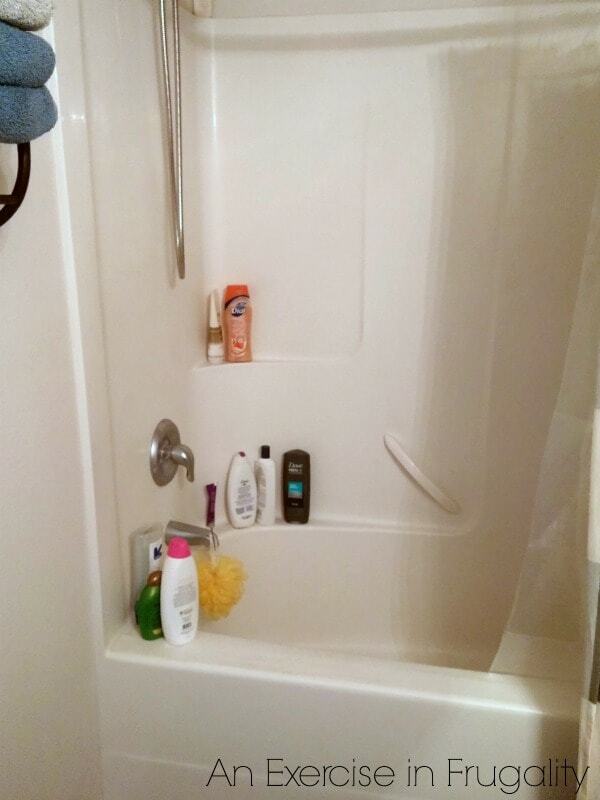 Before we moved out of our house in Oregon, we had a bit of a shower space issue. Things were crammed because there wasn’t much of a ledge in the tub to put things on, and because there wasn’t a ledge to balance it on there was no way to add one of those vertical shower organizers. 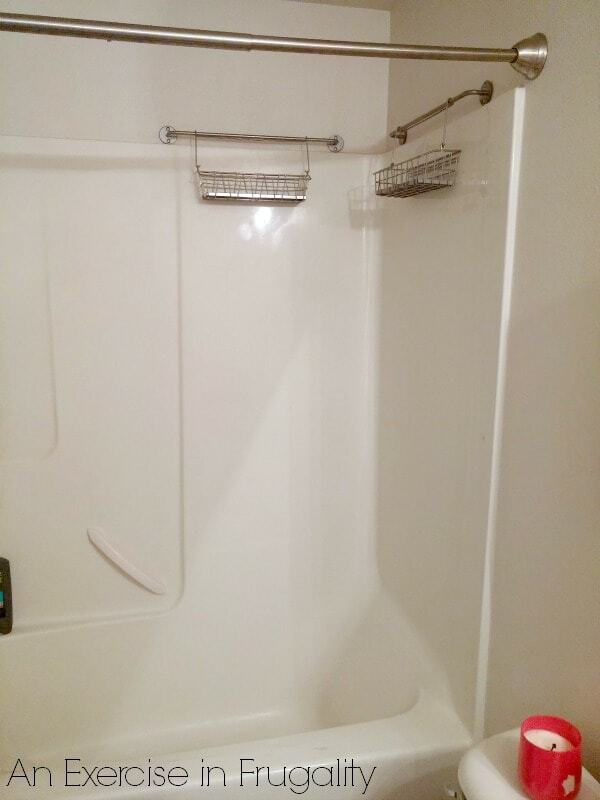 I had the shower organizer that hung over the shower head, but let’s be real those get gross quickly and they never seem to want hang flush against the wall. 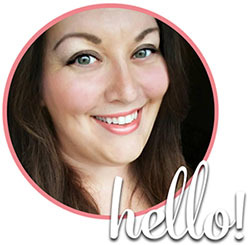 I mulled over a few ideas about how to address this issue, scouring Pinterest for the perfect organizer when the idea suddenly struck me one day when I was wandering Ikea looking for a spice rack for my kitchen. 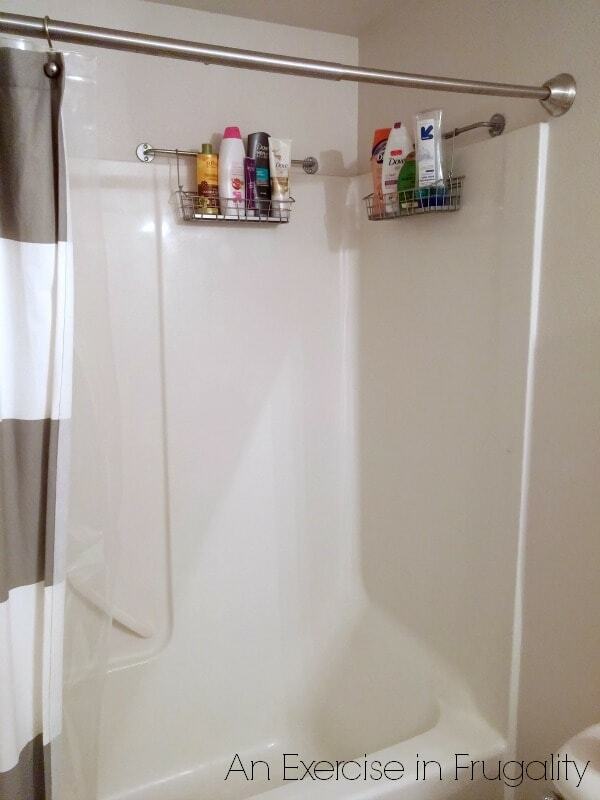 This DIY Shower Organizer is super simple, and works great! 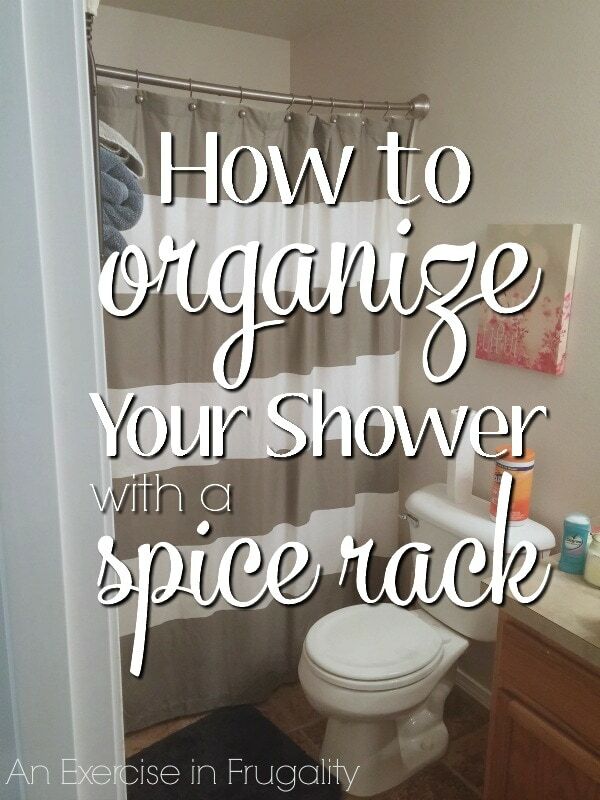 All you need are these hanging spice racks, some concrete screws and caulk. 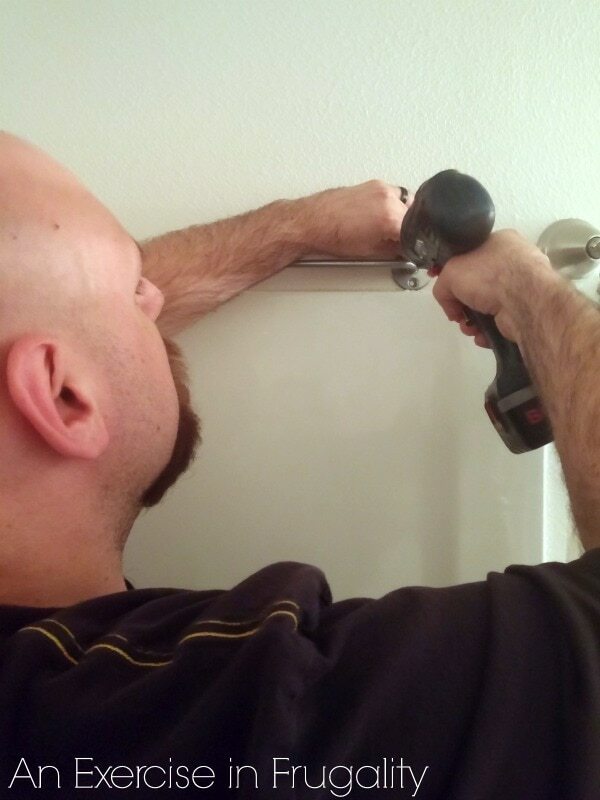 The bathroom walls behind the shower require special screws, because there’s cement board behind the shower surround. This is to prevent water from damaging the walls. Simply screw in the concrete screws, apply caulk around the screw head to seal out any moisture and allow to dry. When you’re finished hanging the bar, you can hang hooks or baskets. This will allow you to hang loofahs and mesh sponges to dry, while also being the perfect organizer to store razors, bottles and other shower essentials. We did two bars, but you could do as many as you like. I’m not sure if the exact baskets I bought are still available, but I believe it was the Fintorp organizers. The Grundtal bar and containers would also work for this purpose. If you want to use the metal bucket style containers from the Fintorp line, I would suggest drilling small holes in the bottom to allow water to drain out. This project takes just a few minutes and the cost is minimal, but the extra storage (especially in a tiny bathroom like ours) was totally priceless! 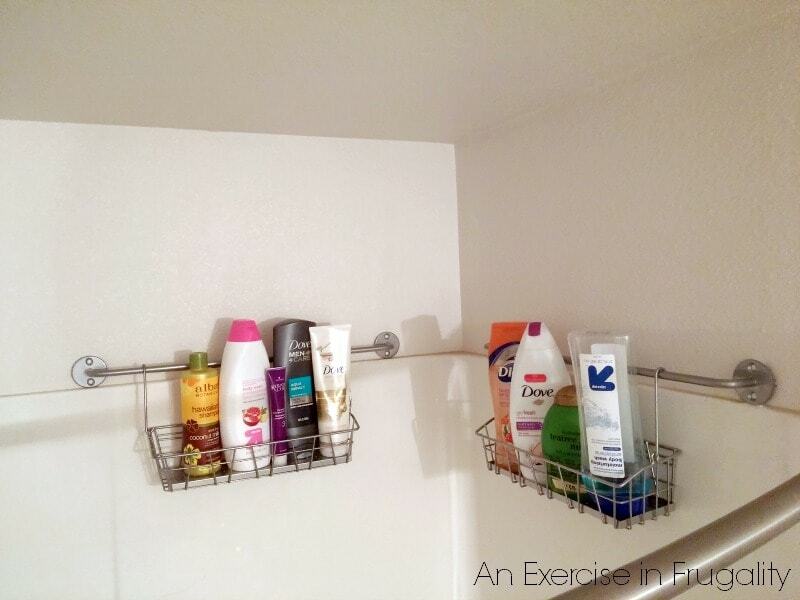 What do you think of this creative DIY Shower Organizer? Absolutely love this !! Was searching too for some smart and pretty organizer for the shower but didn’t find anything that fits my shower and my taste. This is perfect !